The empowerment of women is at the heart of Good As Hell, a fact that deserves not to be erased. The music video is packed with women of color, doing the work of preparing themselves for the world, and then feeling themselves in the most glorious sense. Female empowerment icon Melissa Jefferson AKA Lizzo broke through to the mainstream with the fierce, ultra-catchy pop anthem 'Good As Hell' in 2016. Its rallying cry to love and embrace the person in the mirror regardless of height, shape or color caught on like wildfire and it wasn't long before the radio weave-dominating track was featured in films and TV shows like Ru Paul's Drag Race, Bad Moms and I Feel Pretty. 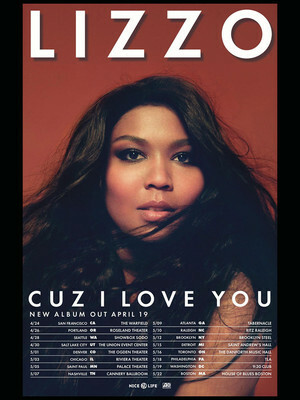 Expanding on her inspirational brand of sonic optimism, Lizzo is hitting the road in support of her new album Cuz I Love You in the Spring of 2019. With lyrics like 'If I'm shiny, everybody gonna shine' and 'Mirror, mirror on the wall, don't say it, 'cause I know I'm cute', the album's lead single Juice continues preaching Lizzo's message about self-love and acceptance with a sizzling funk pop twist, instantly singable choruses and her trademark sassiness. 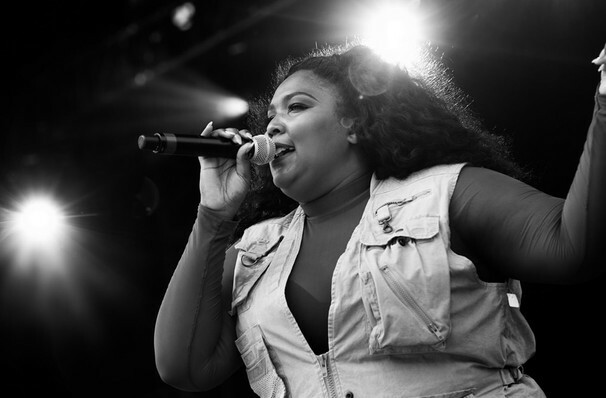 Just as commanding on stage as she is on record, Lizzo puts on a knockout show featuring back up dancers, crowd singalongs and powerhouse live vocals. Seen Lizzo? Loved it? Hated it? Sound good to you? Share this page on social media and let your friends know about Lizzo at Riviera Theater. Please note: The term Riviera Theater and/or Lizzo as well as all associated graphics, logos, and/or other trademarks, tradenames or copyrights are the property of the Riviera Theater and/or Lizzo and are used herein for factual descriptive purposes only. We are in no way associated with or authorized by the Riviera Theater and/or Lizzo and neither that entity nor any of its affiliates have licensed or endorsed us to sell tickets, goods and or services in conjunction with their events.